vacations in Costa Rica offer a variety of culinary tour options and lessons in cooking with sweet corn and black beans, as well as more unusual and unique regional vegetables like chayote and ayote. Combined with Costa Rican staples such as corn tortillas, black beans and rice, cooking classes in Costa Rica utilize a wide range of spices, cheeses and vegetables boiled down into soups or sauces. Learn how to cook comida tipica, gallo pinto, and plántano like a native in a variety of cookery vacation options available in one of the world's most popular tourist destinations. From Olla carne stew to dozens of roast pork and chicken dishes, a cooking vacation in Costa Rica is an exciting introduction into some of the finest Caribbean and Central American cuisine in the world. From swordfish to ceviche, raw fish marinated in lemon juice, to traditional arroz con polo or masamorra to tamales wrapped in banana leaves, explore a variety of cooking styles and techniques unique to this Central American country. Distinctive tastes, mouthwatering aromas, and satisfied taste buds are just a few of the rewards of a cookery vacation in Costa Rica. 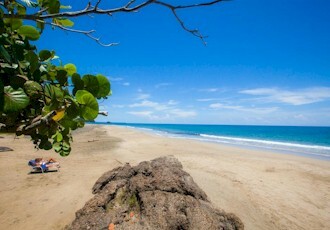 Fill in the form below and we'll send you an email with all our current deals for Costa Rica. Experience adventuresome nature travel at its best! Taste Costa Rica's Caribbean Culture and Cuisine. Visit the Rainforest, Waterfalls, Beautiful Beaches, Turquoise Waters, and Coral Reefs. 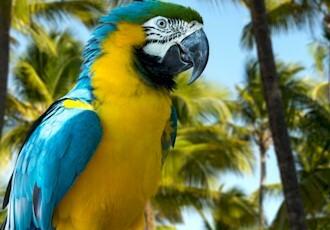 This is Costa Rican Labor Day which is filled with parades, marches and traditional food. A colorful regatta of fishing boats & yachts, fireworks, sports, special masses, concerts, parades & dances, plenty of excellent food and drink.